Mr. Nulsen established Washington Property Company in 2005 after serving as Co-Founder and Chief Executive Officer of Atlantic Realty Companies of Vienna, VA for thirteen years. 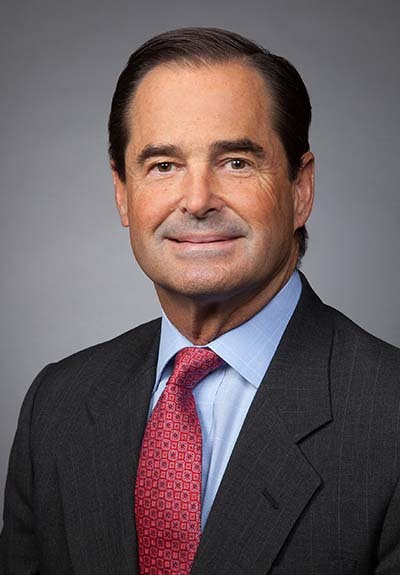 Mr. Nulsen has over 30 years’ experience in commercial real estate and has been responsible for the acquisition and development of eight million square feet of commercial space in the Washington Metropolitan Area. Mr. Nulsen’s expertise and focus is on development, acquisitions, sales, joint ventures and equity capital. He provides primary oversight to numerous development and redevelopment projects throughout VA and MD, and works closely with the mortgage community in construction and permanent loan placement. Currently Mr. Nulsen serves on the Board of Children's Hospital Foundation and past Board Member of Episcopal High School of Alexandria, VA. He is the co-founder of The New Community Foundation Scholarship Program which provides gap college funding for children in the Shaw neighborhood of Washington D.C. He also sits on the American University Real Estate Council which includes lecture and mentoring grad students in the R.E. program. Mr. Nulsen is a member of the Urban Land Institute and serves on the Advisory Council. He is the founding member and past chairman of the Downtown Silver Spring Alliance and has been an active member with the MD and Northern VA chapters of National Association of Industrial and Office Parks (NAIOP). Mr. Nulsen holds a Bachelor of Science degree in business administration from Babson College and a Master of Science degree in real estate and urban development from the Kogod College of Business Administration of The American University. Mr. Nulsen and his family reside in Bethesda, MD and Clarke County, VA.